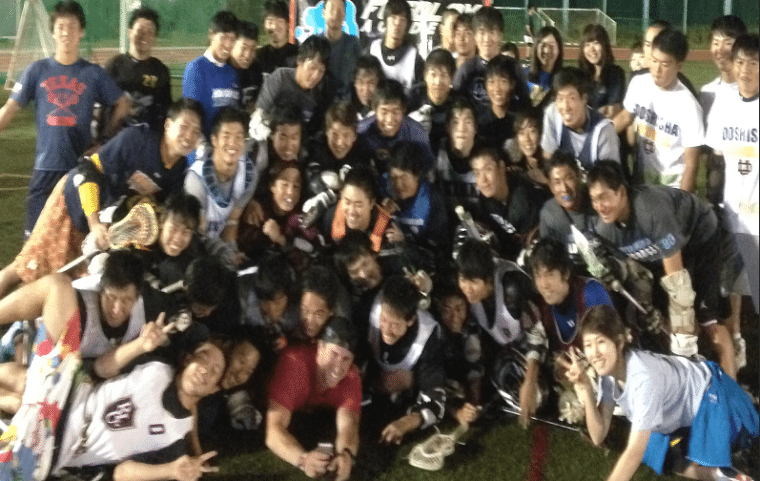 Editor’s Note: Teaching Face Offs in Japan! 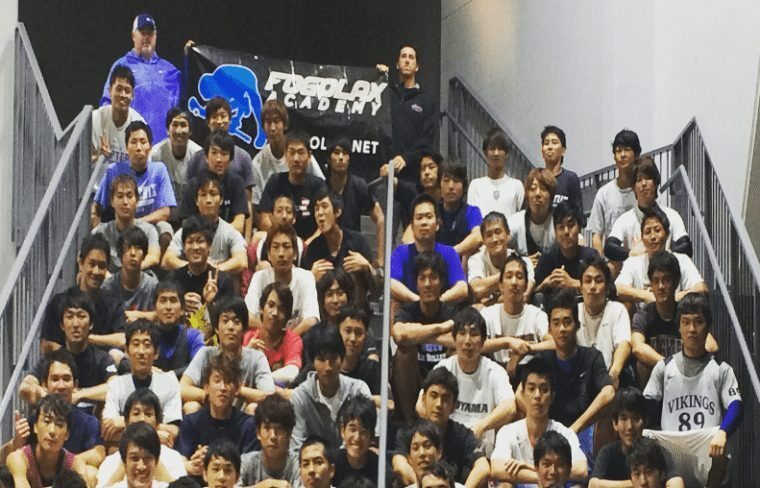 Charlie Raffa (Maryland) and Matt Schomburg (Australia/Adelphi) took a recent trip over to Japan with FoGoLax to teach the art of face offs to a large number of interested Japanese lacrosse players in a bunch of different cities. Charlie wrote a first hand 3 day journal about the trip, and his description of the experience can be seen below! We arrived in Tokyo around 5 p.m. local time, and met up with the mastermind behind our Japan experience, Chris Jinno. Chris is a phenomenal face-off specialist for Team Japan and competed in last year’s world games out in Denver. After meeting up with Chris, we got over to the train station, traveled to our hotel, checked in, and had to head straight to our first clinic! After a 13-hour plane ride and an hour train ride, we were dead tired to say the least. However, once we arrived to the field, we were greeted by around 60 players, which quickly rejuvenated us and got us excited to help these face-off specialists get better. For more great lacrosse videos, click here! As a Terp alum, it was also really amazing to see all the Maryland Lacrosse stuff floating around at the clinic, and to hear how much knowledge the players have about Collegiate/MLL players, even though they are so far away. Although these athletes couldn’t directly understand what we were saying, they were engaged the entire two hours and went 110% in every drill. Schommy and I looked at each other in awe after watching the first couple drills because of how good these guys were at the actual faceoff. The female managers were running around the whole time, whether it was helping blow whistles, collect balls, move cages, or get water. Everyone there was fully engaged. It was unlike anything I had ever seen. After our first clinic we signed autographs, took some pictures, and then met with one of the people that manages the stadium. He was so grateful towards us that he put our names in their hall of fame room along with signed photos, which is a room that has housed memorabilia from decades over time. After a long 2 days of travel and teaching, our host Chris brought us back to the hotel to get some sleep. We were so tired at this point lunch and dinner was skipped, but we fell asleep no problem. I must note that it was crazy to see how different these hotel rooms were from the standard rooms back home. They had a bed, then a yard away a desk, and then one entrance hallway with a small, boat looking bathroom to the left. Also to turn on the lights you had to slip your key into a slot on the wall or else you were hanging out in the dark. At least twice I looked all over the room for my key only to remember that it was sitting in the slot the whole time. Day 2 we woke up pretty early to grab some breakfast knowing we had another long day ahead of us. We grabbed some food at a little diner where we ordered coffee, eggs, bacon, and pancakes. I realized they didn’t offer sugar for the coffee, and instead used a clear colored creamer that just said “syrup”. We weren’t too sure what it was but ended up using it anyways. out what looked like a white Slim Jim in wrapping. When we asked what it was, in his best English, he replied fish and then asked if I wanted some. I had to politely decline, I don’t think my stomach would have been able to handle that kind of stuff. Once we arrived to the Nagoya terminal, there were 4 kids eagerly awaiting our arrival, 2 of them our translators. Nagoya seemed to be the smallest city that we went to. After we dropped our stuff at the hotel we left to grab some dinner, then headed to our next clinic. The kids in Nagoya were very excited to see us and worked hard all practice. They also had girl managers which we later found out are also the referees for their games. After the clinic we headed in the locker room to take a shower where you had to take your shoes off before you even walked in the door. This place was very clean and didn’t have any dirt or garbage anywhere. That night we had some Japanese food, which included raw fish, fried pork on a skewer, and other very unique foods. Everywhere you went to for dinner there were no forks or knives, it was just chopsticks. I also noticed everything came in very small portions and instead of ordering a whole meal for yourself everyone got an appetizer sized food and it was shared. Day 3 we were in Kyoto and that was a very cool city with a lot of history. We visited the oldest temple in Japan and got to go through packed little streets with shops with clothes, souvenirs, and food. It was an awesome experience and was one of my favorite places to visit. When we got to the clinic first thing we saw was hundreds of bikes. Kids in high school and college don’t own cars in most of Japan so they ride bikes everywhere. We were also shocked to see an American football team of what looked to be about around 100 kids. They had all different sports going on at once, handball, track and field, football, rugby, and soccer. The kids at this clinic were very hardworking and also had hardworking trainers. It was also different in that instead of using water coolers, managers were using giant teakettles to fill water bottles. Our translators at this city also brought us to our first Japanese BBQ which is held indoors at restaurants. At the BBQ we had cow tongue (tasted like salami), cow stomach, and other food that people in the U.S. probably wouldn’t like, but when in Japan! Overall it was an awesome trip and the clinics were a great success. I am really happy with the trip and think our campers learned a lot. I am looking forward to next year already and what the future holds for FOGOLAXERS in Japan! Matt Schomburg has been specializing in face off coaching for over 20 years. He grew up in Fremantle, Western Australia where he was an Australia Team captain 4 times. He also played at Adelphi he received All American honors, won a national championship and lead the team in ground balls and assists multiple times. He has spent time in the MLL as a player and coach. In the fall of 2005 Schomburg started the Fogolax Face off Academy.